Ok, here’s just a little inspiration for this weekend hygge/-cosiness!! Sometimes I get bitten by a mad crochet hook, and throw myself into new and wacky projects. This time it resulted in a small range of food and cakes for my youngest daughter’s kitchen – and to great success! 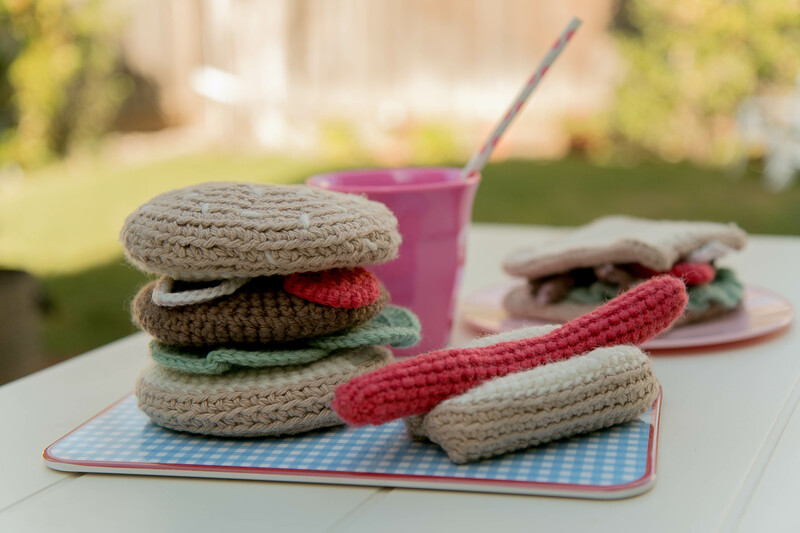 Crochet is like a kind of meditation for me – it is simply impossible to worry about meal planning and laundry while I crochet, and yet I am still able to keep as much contact with the outside world that I can sit and niggle in the front of a good movie in the same time. Fantastic! 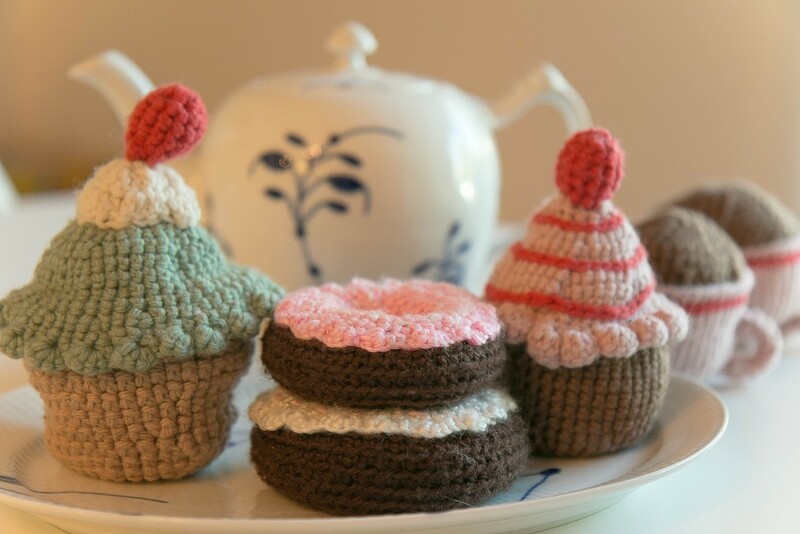 These things are inspired from the book “Yummy Crochet ” by Kirsten Rask. Light the hook and enjoy the weekend!